Happy Friday! Who else is super excited for the weekend? I know I am and with just two weeks until I live for Cosmoprof, I will be very busy! It has been insanely hot here and with the heat comes tasty cold treats. This week I picked up one of those tasty treats, a Dreamshake from Jacks. As I was staring into this amazing shake I was struck with an idea for some nail art and I hope you guys enjoy them as much as I did my shake. 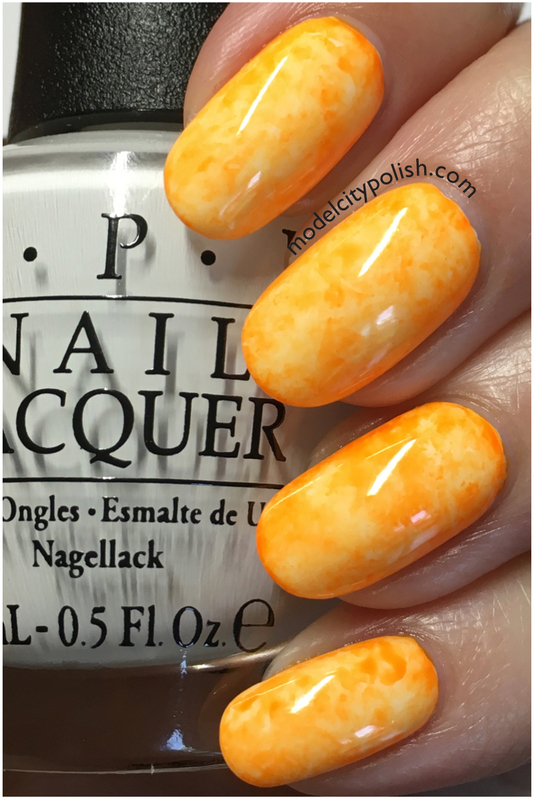 For my creamsicle inspired mani I started with two coats of Alpine Snow by OPI and one coat of Liquid Macro Top Coat by SuperChic Lacquer. After waiting about a hour for the base to fully cure, I applied Eleanor by The Painted Nail and used saran wrap to create a swirly marble look. 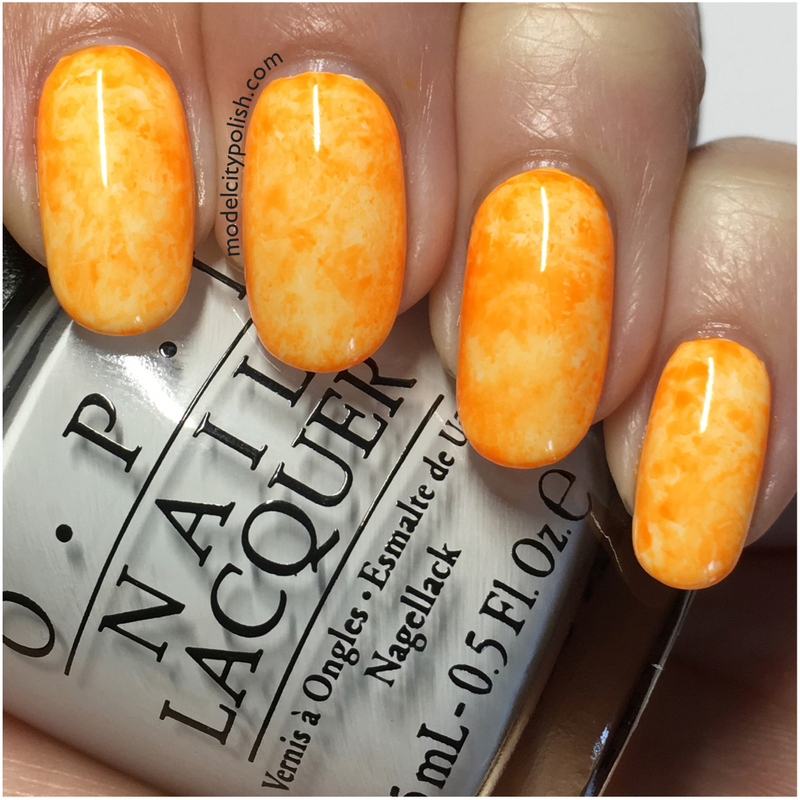 I then sealed it all with a coat of Liquid Macro Top Coat by SuperChic Lacquer. 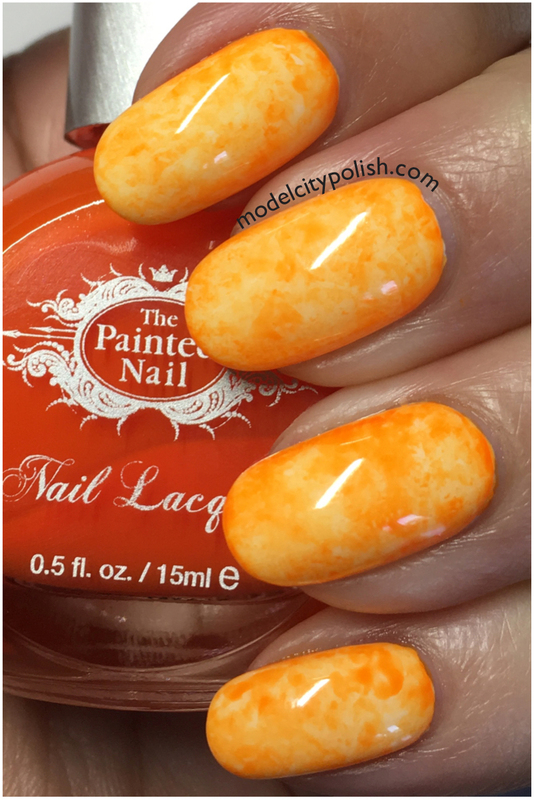 So what do you guys think of creamsicle inspired look? I think I need some more dreamshakes from Jacks!!!! The jelly like finish of Eleanor by The Painted Nail created the perfect marble swirl!!! Thank you so much for stopping by today and I will see you all again tomorrow. These are amazing!! 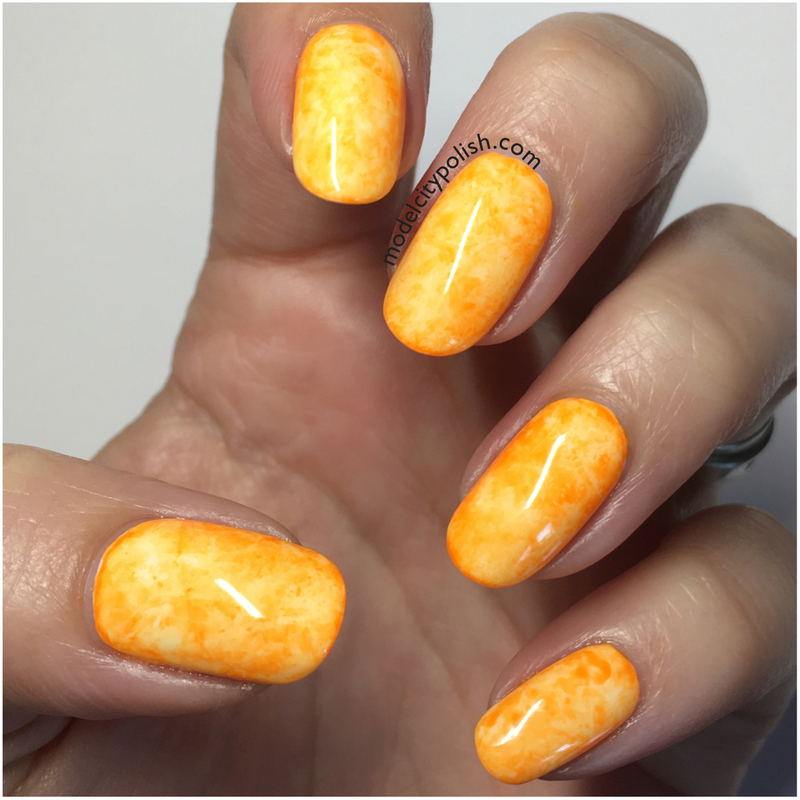 I love the way that jelly polish marbled! Looks perfect. 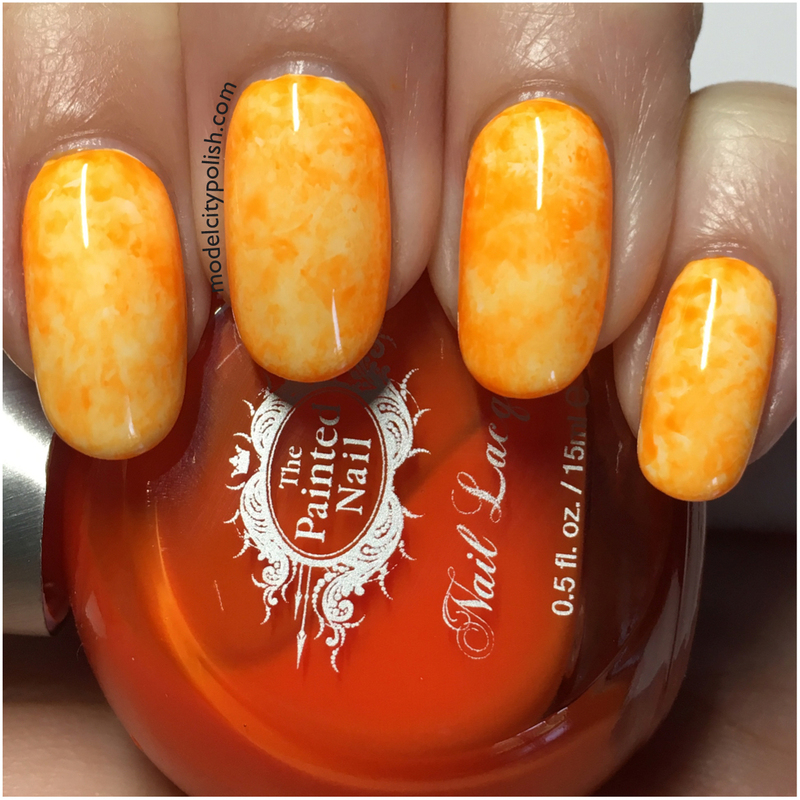 I love orange for summer! the universe is telling me I need ice cream for breakfast. I love a good saran wrap manicure – one of the most simple techniques, but with amazing pay-off every time!! I love the delicate marble effect. 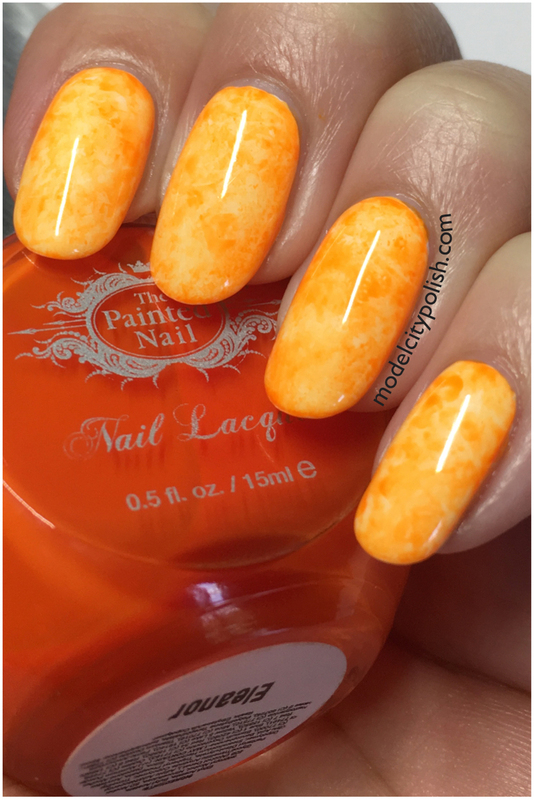 I have to search for creamsicle/saran wrap tutorials and try it out.